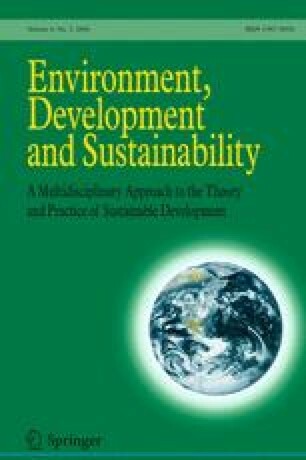 The concept of sustainable development is forcing standard economic analysis to acknowledge and address the existence of dimensions of performance, which are not reducible to monetary accounting. In particular, the implementation of this concept in practice requires: (a) the simultaneous handling of indicators developed in different disciplinary fields; and (b) an approach more related to the procedures adopted by consultants (Participatory Integrated Analysis), rather than theoretical academic analysis looking for ‘the’ optimal solution. The case study considered in this paper is a multi-criteria analysis of changes, which occurred in the Swedish milk production sector for the period 1989–1999. Multi-criteria impact matrices and multi-criteria representations are used to provide a transparent method of integrated analysis. Changes are characterized and quantified in a way that makes it possible to relate the impact of existing trends in relation to different sub-objectives (variation in performance in relation to social, economic and ecological indicators). The results of this analysis confirm a few well known predicaments of sustainability associated with agriculture. The growth of Sweden economy is driving a major increase in material throughputs within its agricultural sector. The need of increasing agricultural throughput (especially labour productivity) has moved the Swedish dairy sector in a clear situation of decreasing marginal return ( = large increases in inputs are not reflected in a proportional increase in output). Therefore, sound policies of development of this sector aimed at increasing the goal of sustainability have to be developed by considering several indicators of performance, and not only economic variables.